Our company controls a time-charter fleet of about 25 vessels, with 8,000 – 40,000 mts deadweight. The majority of our ships have tween-deck option, being multipurpose, box-shaped and open-hatch. Most of the tonnage has sufficient ice-class to render a year-round quality service to our clients. A list of our current vessels can be seen below. 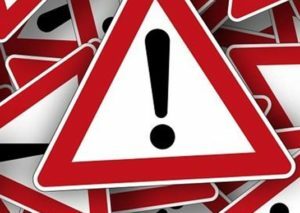 The information provided is for your preliminary guidance only and Onego accepts no responsibility for any errors which may occur in the description of the vessels. 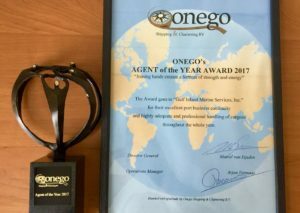 Our congratulations to Onego’s Agent of the Year 2017 Award winner: “Gulf Inland Marine Services, Inc.”!